Handmade collars made from finest soft leather. 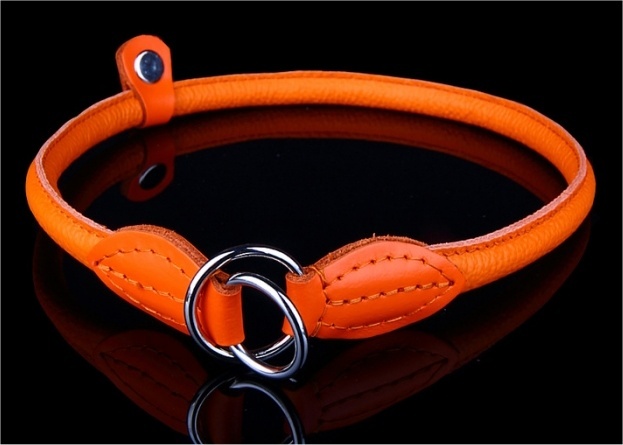 These top quality dog collars are a perfect combination of style comfort and durability. Can be used as a half-check collar. Available in a choice of colours and sizes up to 75cm for giant breeds, we highly recommend these collars. Largest size fits a treat and easily goes over Newfies head. Got it in red to show up on his dark fur and being Leather doesn't get caught up in his fur like a rope slip collar does. Arrived really quickly. Website easy to navigate. Would highly recommend if you own a large breed dog.